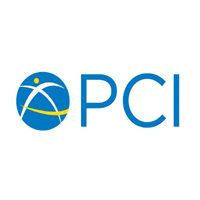 PCI is a non-profit organization dedicated to preventing diseases, improving community health, and promoting sustainable development worldwide. With support from United States Department of Agriculture (USDA), PCI Tanzania will be imple­menting the final phase of Food for Education (FFE) programming in the Mara region (2017-2021). The goal of the program is to improve literacy among primary school students, and increased use of health and dietary practices, empow­er women etc. Managing the regional finance, administration team; defining expectations, providing leadership and technical support as needed and evaluating direct reports regularly. Being responsible for the recruitment, training and promotion of staff as appropriate and ensuring availability of appropriate professional development opportunities for staff. In coordination with the financial director and the program and finance teams, contributes to the preparation of the annual, quarterly and monthly operational plans to support the programs and projects to meet their objectives. Supports operations to meet the budget and other financial goals, including the supervision of administrative expens­es related to the office. Ensure financial transactions are executed in compliance with policies, regulations and procedures of PCI and the donor agencies. Ensure financial controls are implemented in compliance with PCI and donor policies and regulations and under guidance of the Finance & Administration Director and the Country Director. Responsible for the review of contracts between service providers and goods subscribed by PCI. Coordinate the supply of office services and supplies, equipment, furniture and other related needs. Oversee the IT functions in the Musoma office by ensuring all users understand and comply with PCI IT policy. Supervise the senior HR & Admin to ensure she is in charge of HR issues at Mara region.